Previously on the sneSCM mailing list there has been some interest in having more frequent, short, informal meetings to discuss and exchange inform about various topics in SCM (that format was called CMCM - Configuration Management Coffee Meetings, when they were active at the Department of Computer Science in Aalborg and Lund). Someone has now volunteered to revive and to act as organizers of CMCMs for all participants in sneSCM - though it will probably only be of interest to people local to Malmö/Copenhagen where these meetings are most often held. Even though we now have two organizers, it is important to stress that these informal meetings will only live as long as there is an active interest. Meaning that the organizers will not provide the contents for the meetings, but only organize the logistics for the people who volunteer to present and discuss SCM ideas. Although participation in the meetings is absolutely free, we would appreciate if you register interest (by email to Lars Bendix) no later than a couple of days before the meeting, so we can arrange for coffee and cake. The next meeting is in Malmö on Monday, April 29th at 1530 o'clock at Praqma's Malmö-facilities in Kalendegatan 10, on the topic of "Mining Software Repositories" with the following agenda. There was a meeting in Malmö, on Monday, April 8th at 1730 o'clock at Foo Café, Stora Varvsgatan 6A, on the topic of "Experience with SCM and DevOps" with the following agenda. There was a meeting in Rome, Italy on Friday, February 15th at 1700 o'clock at Fiordité, Via Tuscolana 30, in the Piazza Re di Roma area, on the topic of "SCM and DevOps" with the following agenda. There was a meeting in Malmö on Tuesday, February 5th at 1530 o'clock at Praqma's Malmö-facilities in Kalendegatan 10, on the topic of "SCM and DevOps" with the following agenda. There was a meeting in Malmö on Wednesday, December 5th at 1530 o'clock at Softhouse's facilities in Stormgatan 14, on the topic of "Continuous Delivery as a Service" with the following agenda. There was a meeting in Malmö on Wednesday, September 19th at 1530 o'clock at Cybercom's Malmö-facilities in Dockplatsen 16, on the topic of "SCM course syllabi" with the following agenda. There was a meeting in Malmö on Monday, August 20th at 1530 o'clock at Praqma's Malmö-facilities in Kalendegatan 10, on the topic of "Supporting shared code" with the following agenda. There was a meeting in Copenhagen on Tuesday, March 6th at 1630 o'clock at the IT University in Rued Langgaards Vej 7, on the topic of "Bumps and Pitfalls on the Road to Continuous Delivery Paradise" with the following agenda. There was a meeting in Rome, Italy on Friday, February 16th at 1700 o'clock at Bar Red in Via Cesena 30, in the Piazza Re di Roma area, on the topic of "What should a Configuration Manager know?" with the following agenda. There was a meeting in Malmö on Tuesday, December 12th at 1530 o'clock at Praqma's Malmö-facilities in Kalendegatan 10, on the topic of "Modern Configuration Status Accounting" with the following agenda. There was a meeting in Malmö on Monday, October 16th at 1530 o'clock at Softhouse's facilities in Stormgatan 14, on the topic of "Versioning of microservices" with the following agenda. There was a meeting in Malmö on Wednesday, September 20th at 1530 o'clock at Praqma's new Malmö-facilities in Kalendegatan 10, on the topic of "Version control tools" with the following agenda. There was a meeting in Copenhagen on Tuesday, May 9th at 1630 o'clock at the IT University in Rued Langgaards Vej 7, on the topic of "SCM sales pitches" with the following agenda. There was a meeting in Malmö on Thursday, April 27th at 1530 o'clock at Softhouse's facilities in Stormgatan 14, on the topic of "SCM sales pitches" with the following agenda. There was a meeting in Malmö on Wednesday, April 5th at 1530 o'clock at Softhouse's facilities in Stormgatan 14, on the topic of "Costs of Introducing Tools" with the following agenda. There was a meeting in Copenhagen on Tuesday, April 4th at 1700 o'clock at the IT University in Rued Langgaards Vej 7, on the topic of "Continuous Delivery" with the following agenda. There was a meeting in Malmö on Wednesday, March 8th at 1530 o'clock at Softhouse's facilities in Stormgatan 14, on the topic of "Continuous Delivery" with the following agenda. There was a meeting in Malmö on Tuesday, December 20th at 1530 o'clock at Softhouse's facilities in Stormgatan 14, on the topic of "Dependency management - the new SCM?" with the following agenda. There was a meeting in Malmö on Tuesday, September 20th at 1530 o'clock at Softhouse's facilities in Stormgatan 14, on the topic of "Software architecture and Continuous Delivery" with the following agenda. There was a meeting in Copenhagen on Tuesday, August 23rd at 1700 o'clock at the IT University in Rued Langgaards Vej 7, on the topic of "Continuous Software Engineering" with the following agenda. The was a meeting in Genova, Italy on Wednesday, July 27th at 900 o'clock at Proteco Group's facilities in WTC - Via de Marini 1, Piano 13, on the topic of "CM in modern development" with the following agenda. There was a meeting in Copenhagen on Wednesday, April 27th at 1530 o'clock at SimCorp's facilities in Weidekampsgade 16, on the topic of "Consolidation of repositories" with the following agenda. There was a meeting in Malmö on Wednesday, February 3rd at 1530 o'clock at Softhouse's facilities in Stormgatan 14, on the topic of "Showstoppers for Continuous Delivery" with the following agenda. There was a meeting in Copenhagen on Tuesday, April 21st at 1530 o'clock at Praqma's new facilities in Borgergade 24b, on the topic of "Continuous Delivery" with the following agenda. There was a meeting at Lund Institute of Technology on Wednesday, March 25th at 1530 o'clock in room E:4130 (aka the LUCAS-room) on the topic of "Automating traceability" with the following agenda. 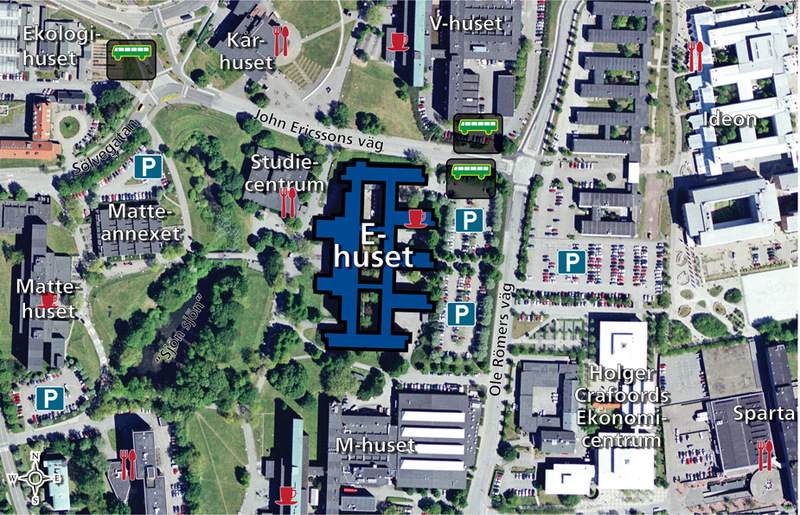 There was a meeting at Lund Institute of Technology on Thursday, August 21st at 1530 o'clock in room E:4130 (aka the LUCAS-room) on the topic of "Managing dependencies as a focus area for CM?" with the following agenda. There was a meeting at Lund Institute of Technology on Monday, March 31st at 1530 o'clock in room E:4130 (aka the LUCAS-room) on the topic of "Variant handling for web applications" with the following agenda. There was a meeting at Sony Mobile, Lund on Wednesday, March 5th at 1530 o'clock in a room to be announced on the topic of "Work models in Configuration Management" with the following agenda. There was a meeting at Lund Institute of Technology on Thursday, November 14th at 1530 o'clock in room E:4130 (aka the LUCAS-room) on the topic of "Configuration Management and Variants" with the following agenda. There was a meeting at Lund Institute of Technology on Tuesday, October 1st at Kårhusets hörsal, John Ericssons väg (not the usual place) on the topic SCM for Global Software Development with the following agenda. There was a meeting at Lund Institute of Technology on Monday, February 25th at 1530 o'clock in room E:4130 (aka the LUCAS-room) on the topic Continuous Integration and Continuous Deployment with the following agenda. There was a meeting at SimCorp A/S, Weidekampsgade 16, 2300 Copenhagen S on Friday, October 12th at 1500 o'clock on the topic Visualizing repository activity with the following agenda. There was a meeting at Lund Institute of Technology on Monday, February 13th at 1530 o'clock in room E:4130 (aka the LUCAS-room) on the topic Dealing with distributed projects - with the following agenda. There was a meeting at Lund Institute of Technology on Thursday, November 17th at 1530 o'clock in room E:4130 (aka the LUCAS-room) on the topic Communicating the "big picture" of Impact Analysis - with the following agenda. There was a meeting at Lund Institute of Technology on Wednesday, October 19th at 1530 o'clock in room E:4130 (aka the LUCAS-room) on the topic SCM issues in distributed development - with the following agenda. There was a meeting at Lund Institute of Technology on Wednesday, September 7th at 1530 o'clock in room E:4130 (aka the LUCAS-room) on the topic Is CM all about minimizing risks or are there other benefits? - with the following agenda. There was a meeting at Lund Institute of Technology on Wednesday, March 2nd at 1530 o'clock in room E:4130 (aka the LUCAS-room) on the topic SCM in an OSS context - with the following agenda. There was a meeting at Lund Institute of Technology on Wednesday, February 2nd at 1530 o'clock in room E:4130 (aka the LUCAS-room) on the topic How much git does a developer have to know? - with the following agenda. There was a meeting at Lund Institute of Technology on Wednesday, December 15th at 1530 o'clock in room E:4130 (aka the LUCAS-room) with the following agenda. There was a meeting at Lund Institute of Technology on Thursday, October 21st at 0900 o'clock in room E:1405 with a workshop on the value of Configuration Management, according to the following programme. There was an SCM afternoon at Lund Institute of Technology on Wednesday, August 25th at 1300 o'clock in (room E:2116 - the department seminar room - with three Master's theses presentation and one "ordinary" coffee meeting according to the following programme. There was a meeting at Lund Institute of Technology on Wednesday, April 28th at 1530 o'clock in (room E:4130 aka the LUCAS-room) on the topic "A framework to improve configuration management efficiency" - with the following agenda. There was a meeting at Lund Institute of Technology on Wednesday, March 3rd at 1530 o'clock in (room E:4130 aka the LUCAS-room) on the topic "CM tasks - what are core tasks and what can be delegated" - with the following agenda. There was a meeting at Lund Institute of Technology on Tuesday, January 19th at 1530 o'clock in (room E:4130 aka the LUCAS-room) on the topic "Managing product variants in a component-based system" - with the following agenda. There was a meeting at Lund Institute of Technology on Thursday, December 10th at 1530 o'clock in (room E:4130 aka the LUCAS-room) on the topic "A Christmas Configuration Carol" - with the following agenda. There was a meeting at Lund Institute of Technology on Thursday, November 19th at 1530 o'clock in (room E:4130 aka the LUCAS-room) on the topic "Large Scale Continuous Integration" - with the following agenda. There was a meeting at Lund Institute of Technology on Wednesday, August 26th at 1530 o'clock in (room E:4130 aka the LUCAS-room) on the topic "Configuration composition with dependencies" - with the following agenda. There was a meeting at Lund Institute of Technology on Thursday, April 23rd at 1530 o'clock in (room E:4130 aka the LUCAS-room) on the topic "Lean development and SCM" - with the following agenda. There was a meeting at Lund Institute of Technology on Tuesday, March 3rd at 1530 o'clock in (room E:4130 aka the LUCAS-room) on the topic "SCM processes for novices" - with the following agenda. There was a meeting at Lund Institute of Technology on Wednesday, January 21st at 1530 o'clock in (room E:4130 aka the LUCAS-room) on the topic "SCM and testing" - with the following agenda. There was a meeting at Lund Institute of Technology on Thursday, November 13th at 1530 o'clock in (room E:4130 aka the LUCAS-room) on the topic "Traceability in agile methods" - with the following agenda. There was a meeting at Lund Institute of Technology on Wednesday, September 17th at 1530 o'clock in (room E:4130 aka the LUCAS-room) on the topic "Distributed version control" - with the following agenda. There was a meeting at Lund Institute of Technology on Thursday, May 15th at 1530 o'clock in (room E:4130 aka the LUCAS-room) on the topic "Continuous integration" - with the following agenda. There was a meeting at Lund Institute of Technology on Thursday, April 17th at 1530 o'clock in (room E:4130 aka the LUCAS-room) on the topic "SCM and Scrum" - with the following agenda. There was a meeting at Lund Institute of Technology on Thursday, November 15th at 1530 o'clock in (room E:4130 aka the LUCAS-room) on the topic "SCM and outsourcing" - with the following agenda. There was a meeting at Lund Institute of Technology on Tuesday, October 2nd at 1530 o'clock in (room E:4130 aka the LUCAS-room) on the topic "University syllabus in SCM" - with the following agenda. There was a meeting at Lund Institute of Technology on Thursday, November 30th at 1530 o'clock in (room E:4130 aka the LUCAS-room) on the topic "Classic CM and Agile development" - with the following agenda. There was a meeting at Lund Institute of Technology on Wednesday, May 3rd at 1530 o'clock in (room E:4130 aka the LUCAS-room) on the topic "Almost right doesn't exist!" - with the following agenda. The first meeting was at Lund Institute of Technology on Wednesday, March 15th at 1530 o'clock in (room E:4130 aka the LUCAS-room) on the topic "Software Configuration Management in Agile Development" - with the following agenda.